Street food are generally sold in public areas like a market, in from of shopping malls, near cinema theaters etc. The people from all classes of India is passionate about the street food and it is available at low price compared to restaurants. Every state has it own style and specialty with tasty food items . The following are the top list and are the most famous and delicious street food of India , you will find every corner of the country. It is a spicy snack well popular item in Karachi, Pakistan and also well-know in various parts of India includes Delhi, Maharashtra, Madhya Pradesh, Orissa, Gujarat, Maharashtra, Rajasthan and Orissa. 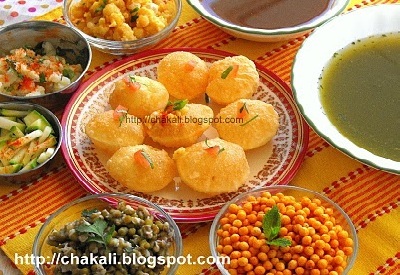 In India Kachori is well famous in Royal state of India, Rajasthan for its awesome cuisines and delectable street foods. 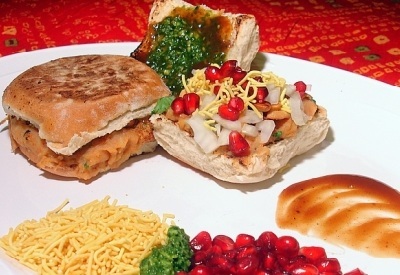 It is also Known as Kutchi or Kachchhi dabeli is an Indian Snack food . The process Of Dabeli recipe contains with main ingredient of the dish which includes Potatoes, dabeli masala and bun. This recipe is sold in most of the cities around India under the brand of Kutch. The products used in Dabeli masala is dried red-chillies, dried coconut, salt cove, elachi, cumin, turmeric, black salt is a special masala can store over period of 12 months from the date of manufacturing. 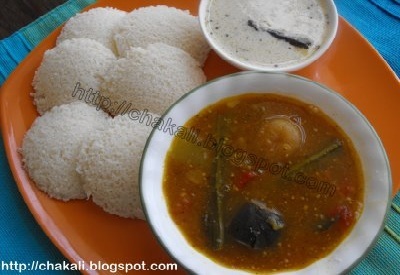 It is most famous South India common break fast item which servers with combination of chutney and sambar. It is best food in Chennai and Hyderabad mostly people had common break fast with Idli. It is a Punjabi dish and very popular in major cities of India It is the mouth watering snack served with Onions, carrot pickle, achaar and green chutney. Paneer bhatura, aloo bhaturaetc are the different varieties of Chole. It is one popular appetizer in Indian but also in United Kingdom, Canada, South Africa , Kenya and United States. 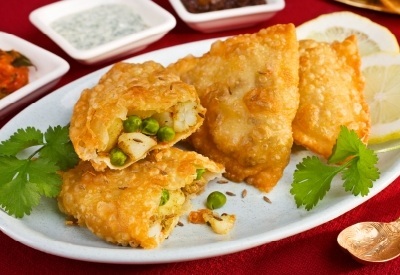 Samosa is basically a triangle-shaped fritter with a savoury filling which is generally a spicy mixture of Maida, Onion, Potato, green chili, cheesa etc are the main ingredients of the recipe. It is famous fast food on the streets of India. This bhelpuri is made of Puffed rice, vegetables, Tamarind sauce , onions, coriander and lemon juice. All these products are simply mixed in a bowl and served in paper-folded cone with small wooden spoon. Bhelpuri is famous in the area of Mumbai Beach Chowpaty, Gujariti cafes and recently this recipe has spread throughout the country. 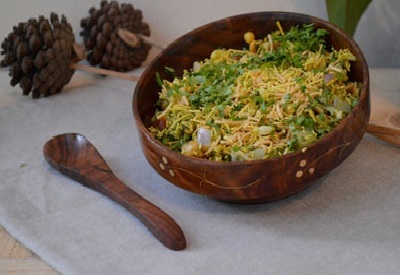 It is also known as Churmuri in Bangalore and also had different types variants mixtures of bhelpuri such as Dahi puri, Sevpuri, Sev Papdi chaat, Churmuri etc. It is also known as Cutlet in some of the states. The word Aloo refers potato and tikki means a cutlet. 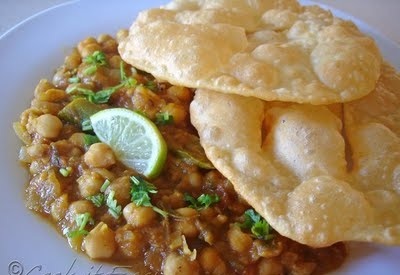 This chaat is found mostly in front of shopping malls , bakeries and especially famous, in Chowpatti Beach Mumbai. 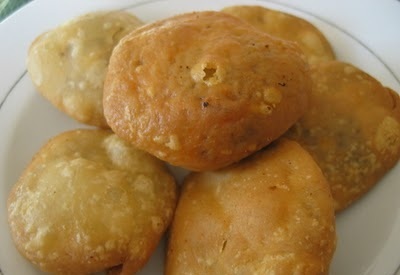 It is also found in Mc Donald’s named with Mc Aloo Tikki and sold almost every chaat shack in the country. This dish, initially server hot for the customer adding yogurt, saunth, tamarind and coriander-mint chuntey. It is one famous dish in South India and North India. 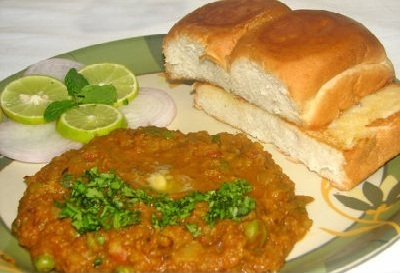 It is a one of the famous spicy fast food dish in Mumbai Cuisine of Maharashtra. It has become well known disk in most metropolitan areas in India especially in Karnataka and Gujarat. Originally, the name Pavi Bhaji refers Pav means bread and Bhaji in Marathi means vegetable dish contained with Potato, onion, Coriander , lemon and butter etc. It also serves in various varieties in some of the restaurants which include Cheese Pav Bhaji, Mushroom Bhaji, Paneer Pav Bhaji, Jain Pav, Bhaji, Kathyawadi Pav Bhaji etc. It is well Famous for its delectable street foods and awesome cuisines, Basically Vada Pav is a Maharashtra dish and also very popular in major states of India. Initially, this dish started with a very low price because of it taste and gradually increase it price based on it need. This disk can be eatable lunch , break fast and dinner. 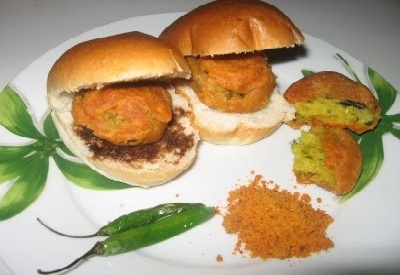 Vada Pav is generally known as Indian Burger consist of batata vada between two slices of pav . Potato patties, chili peppers and ginger are the main ingredient of the dish. There are many other famous roadside foods from India such as, Pani puri, Samosa. It is known as Panipuri in some of the states. It is popular chatt, originating in North India and later spread throughout the country from children to Adults . It is famous in Delhi, Mumbai, Lucknow and almost every state in India and countries like Bangladesh, Pakistan, Nepal and Bangladesh. It is the most loved and ultimate recipe contains Crispy puris filled with mixture of flavored water and mashed, dried peas, boiled potato and chickpeas. Generally, for the customers eight to ten gol gappe are served in one plate and eaten by playing the entire stuffed small puri into the mouth at once.